The Ekiti Police Command has assured residents of the state of adequate security before, during and after inauguration of new administration in the state. 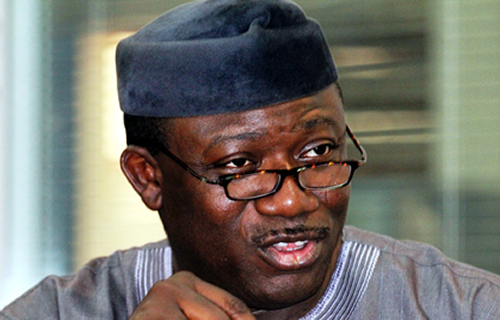 Ekiti governor-elect, Dr. Kayode Fayemi would be inaugurated as the next governor of the state on Tuesday, 16th October, 20018. The police advised the residents to be vigilant and report any suspicious individuals to the cops for prompt action. Police Commissioner, Mr. Bello Ahmed, promised that adequate security would be provided to ward off criminals before and during the ceremony. The tenure of Governor Ayodele Fayose would expire on 16th October, 2018, having been sworn-in on October 16, 2014 after his reelection on 12th June, 2014. A statement signed by the Command’s Police Public Relations Officer, Mr. Caleb Ikechukwu in Ado-Ekiti yesterday, urged the people to be security conscious and refrain from acts that could trigger violence during the ceremony. It reads: “The police force is hereby imploring members of the public to cooperate with security personnel deployed for the special ceremony and we enjoin all Ekiti citizens to be security conscious, vigilant and report untoward happening in their locality to the nearest police station. “We urge Ekiti citizens to be law abiding and also exhibit hospitality by accommodating their visitors who will be coming into the state for the inauguration.